Here's an outline of what's been going on in the My Chemical Romance world since my previous "MCR digest" post on September . Check out Frank Iero's recount of MCR's scrapped album (Conventional Weapons) era and the details of their upcoming releases. Post also includes information about the accidental posting of the fourth 7" in the series that tipped fans off that something was coming! 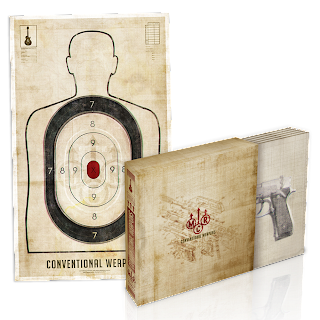 Tracklisting a pre-order details for Conventional Weapons! 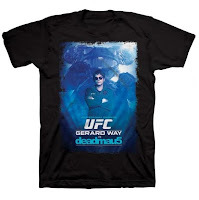 Alternative Pressannounced that their upcoming issue will include an interview with deadmau5 and Gerard Way! I'm particularly stoked about this; because, I actually got to transcribe the interview while I was in office, and I've been dying to tell you about it! "A pair of large, white converse appeared under my nose, which the crowd at Cleveland’s Grog Shop kept planting firmly against the wedge stage monitor and knee-high concrete stage in front of me. I felt a tap on my back and a familiar voice close to me. “Are you okay?” I looked up at the towering, black-lipstick-and-white-Converse-wearing figure before me. 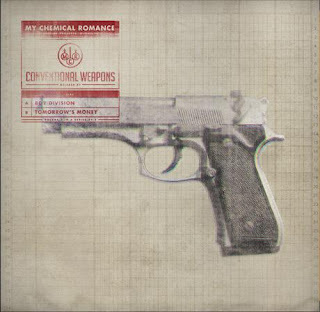 Why, hello, Matt Skiba..."
My Chemical Romance have announced the tracks, pre-order information and release formats and dates for Conventional Weapons. Every month for the next 5 months, My Chemical Romance will release a double-sided single in both 7" vinyl and digital formats! A-side: "The World Is Ugly"
B-side: "The Light Behind Your Eyes"
The info in my original post (below) was posted a BIT early; so, I had removed it...until now. My Chemical Romance guitarist Frank Iero has posted an official blog entry explaining the band's upcoming Conventional Weapons project and the story behind the band's Pre-Danger Days "scrapped" album. The project will include a series of releases, I'm assuming at least in part on 7" vinyl by the store listing from yesterday (below), of never-before-heard MCR songs from the band's 2008-2009 "scrapped album." There will be 5 releases, starting in October, each with 2 never-before-heard songs. Here's an outline of what's been going on in the My Chemical Romance world since my previous "MCR digest" post on September 2. Information leak. Valid sourceconfirming #Killjoys at #NYCCBLI to intercept and disarm before word gets out. Engage Scarecrow unit. — Gary Levko (@GaryLevko) September 9, 2012 Killjoy panel at this year's New York Comic Con? Sounds like it! I'll keep an eye open for more details as they come! Speaking of Killjoys, comic book artist Vasilis Lolos recently talked briefly about the MCR side of the Killjoys project with Comic Book Resources. Here's an outline of what's been going on in the My Chemical Romance world since my previous "MCR digest" post on August 21. With more going on now, I will try to make these posts a bit closer together in the future! My Chemical Romance's "SING" appears on VH1 "Pop-Up Videos"
My Chemical Romance's official website underwent a dramatic re-skin, including the addition of a new logo (pictured left). Fans are to be advised that it is just a routine website re-skin that does not necessarily reflect new material. 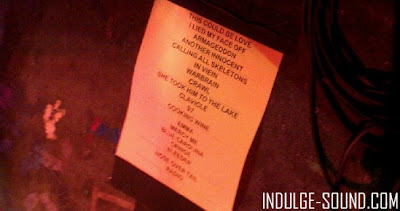 The tracklisting was revealed for The Man With The Iron Fists soundtrack, of which MCR was said to be a part. There is no sign of them on the soundtrack.